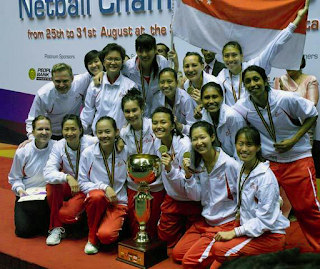 Singapore beat Sri Lanka by one point as the scores were at 48-47 in the end of the match. Sri Lanka beat Malaysia in the semifinal yesterday to qualify for the final while Singapore reached the final after a 53-27 win over Hong Kong. Malaysia beat Hong Kong by 56-27 to claim the second runner-up spot.